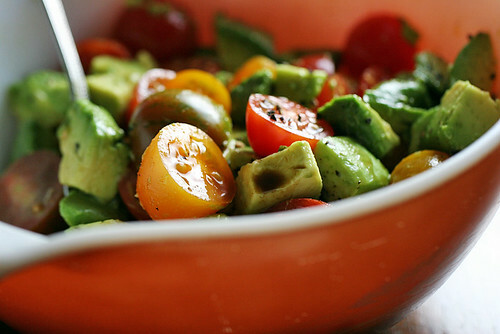 Tomato & avocado salad, salted and peppered and Worcestershire sauced. 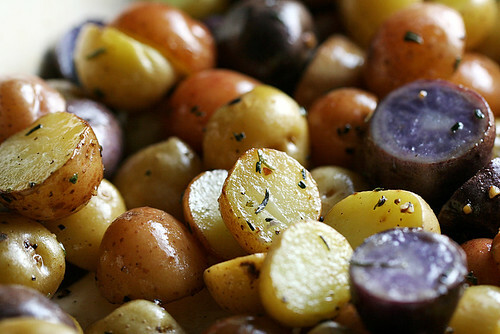 Baby potatoes, salted and peppered and 1/4 tsp Savoury-ed, roasted at 425°F for 20 minutes. 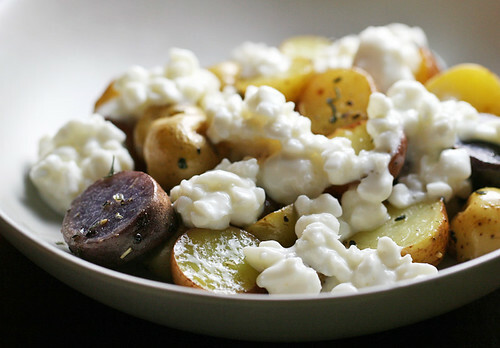 And topped with cottage cheese.